It’s well known that continuous availability of fresh feed results in increased dry matter intake and increased milk production. 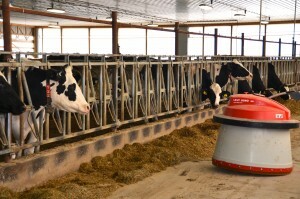 The Juno moves along the feeding alley automatically, following the feed bunk. The machine pushes the feed toward the feed bunk without disturbing the cows. 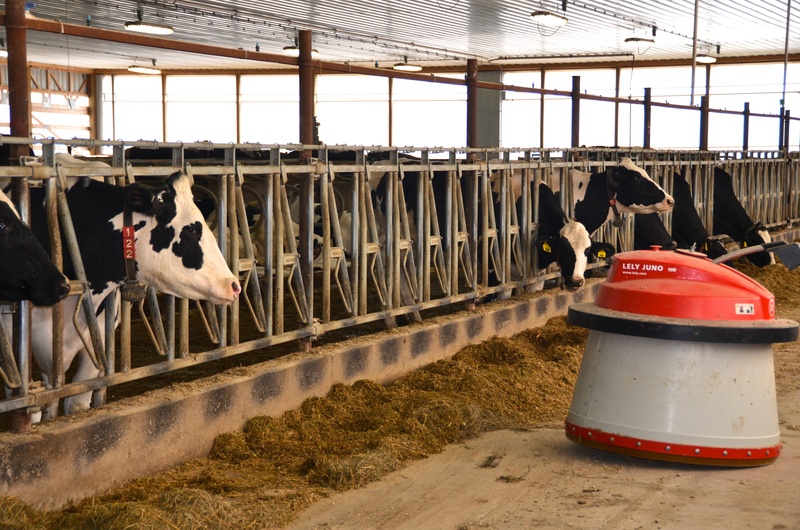 Since the Juno is a stand-alone machine, barn modifications are seldom required; it can be used in almost any type of barn. 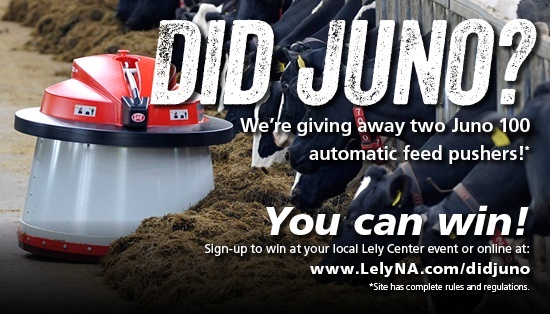 In a Lely research study, 100 Juno customers were polled to ask if they considered the Juno to be a farm luxury or a necessary part of their operation.